A great ID card lanyard at a reasonable price by IDCardSupply. 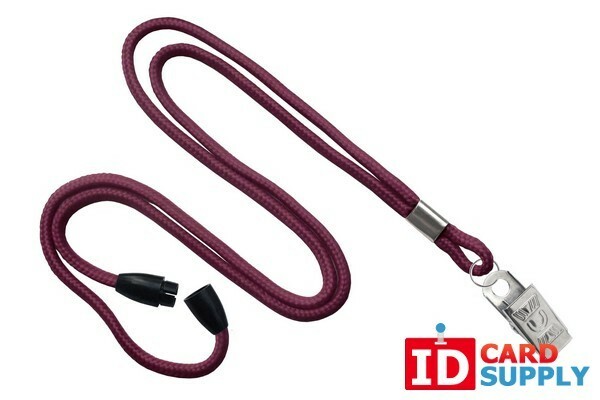 This stylish Maroon 1/8" lanyard includes a steel plated bulldog clip and breakaway feature that is sure to work for all your security access needs! Sold in bundles of 100.